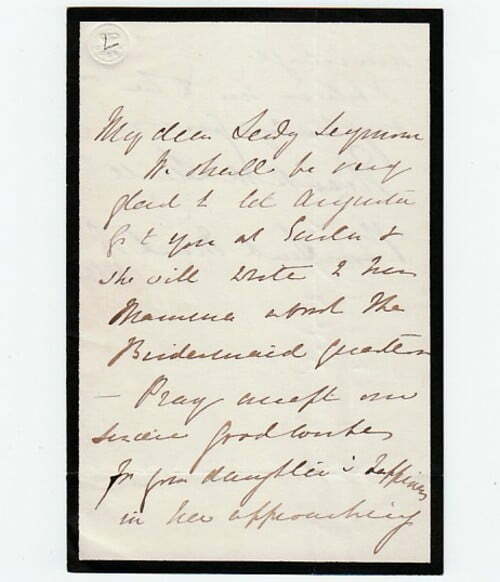 Autograph Letter Signed, to Lady Seymour, permitting Augusta to stay with her in order to attend Lady Seymour’s daughter’s wedding. 1½ pages 5 x 3½ inches, in good condition. Bonchurch, 13 March 1865. Elizabeth Sewell (1815-1906), author (e.g. Ursula, 1858) and educationalist.